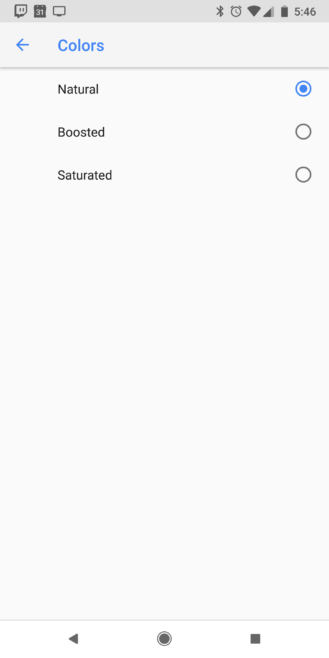 For more info on both how color in Android works, and how Google chose to approach the problem on its recent Pixel 2 phones, you can check out our detailed post on the subject by guest writer Carlos Lopez/ShortFuse. There's also a great video from this year's I/O that talks about it. 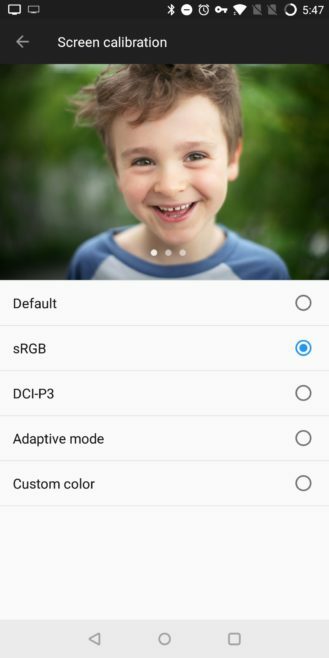 Basically, Android 8.0 Oreo finally introduced decent color management into our favorite operating system. But, it requires that apps declare color-space to take advantage of anything beyond sRGB space. Since, as yet, few apps do that, most found the Pixel 2's colors to be "washed out" as it would default to showing most things in that smaller color space. 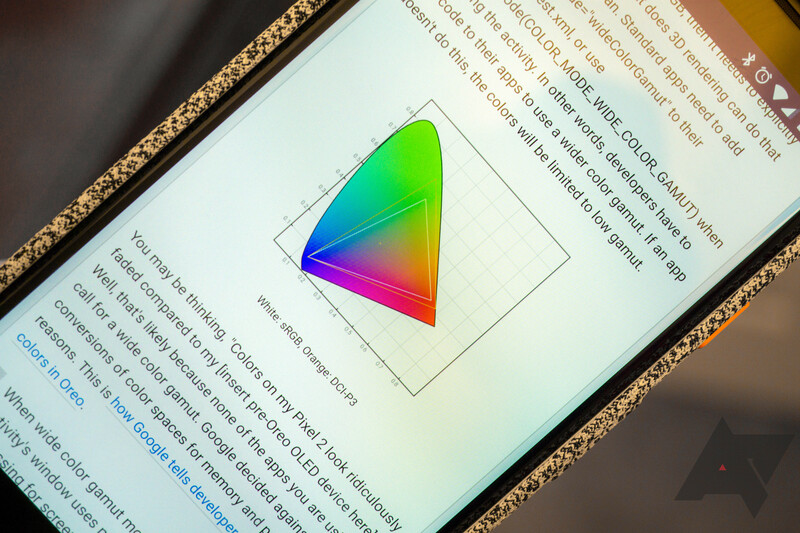 Even before Android 8.0, though, phones by manufacturers like Samsung, OnePlus, and even Google's earlier phones have offered calibrated color modes. Personally, I just set all my devices (computers/monitors and TV included) to a calibrated sRGB space. That gives me a lowest common denominator for a consistent experience across all my stuff, though I am looking forward to more apps taking advantage of the expanded options now available in Android 8.0. What about you? Not everyone needs a color-accurate workflow, and others might intentionally target an expanded space. What do you set your phone to? Do you use a color profile on your phone? Nope, whatever it came with is fine. Something calibrated, like basic/sRGB, Photo, Cinema, etc. Whatever is most saturated or punchy.